» My Oni Game does crash after the Intro! (Vista) Help! My Oni Game does crash after the Intro! (Vista) Help! What can I do, to solve that problem? Please help me someone! I also wanted to ask if It's possible to play that game with my controller! Its an xbox PC Controller! Re: My Oni Game does crash after the Intro! (Vista) Help! Welcome! I'm glad you were able to find a secondhand copy of the game. If you find the right third-party software, you can map your Xbox controller input so it behaves like key presses and mouse movements. I don't have any software recommendations since I'm on a Mac and don't know what people use for that in Windows. I don't recall anyone doing this before, so I don't know how well a controller works with PC Oni. Since Oni was originally designed as a PC game, I think you'll find that the game plays better with mouse and keyboard than with a console controller. So, I've visited your page and did dloaded the Attachment: 00020DaodanWin_14.zip from that site! 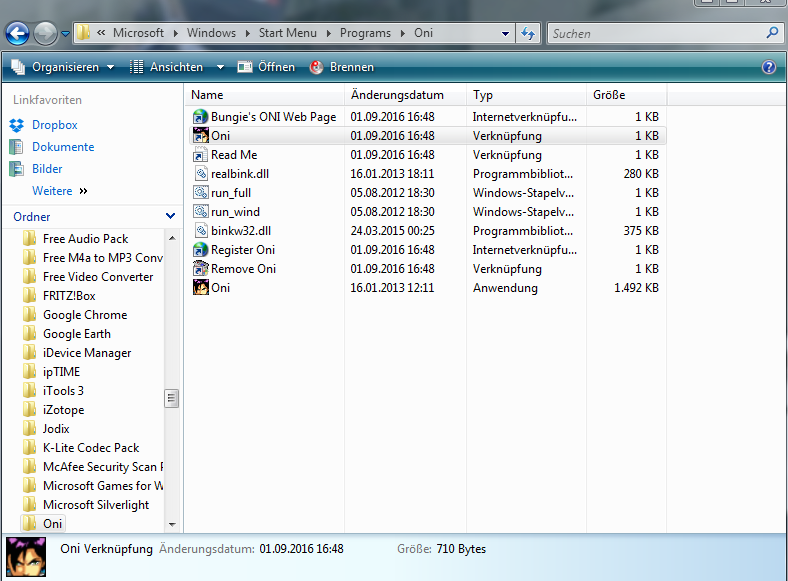 I opened it after Download with winrar and What I have to do from there? I did also delete Oni again from my Computer, to start from scratch! Please see the instructions on that Mod Depot page -- you have to place the files alongside Oni.exe (no need to reinstall Oni). Let me know if you have any more questions. @ Xbox controller: see here. I did follow the directions on that page and did replace the oni.exe with the one from the mod depot page, but it still doesnt pass the intro!? This is a folder with links (Verknüpfungen). No "real" game files. 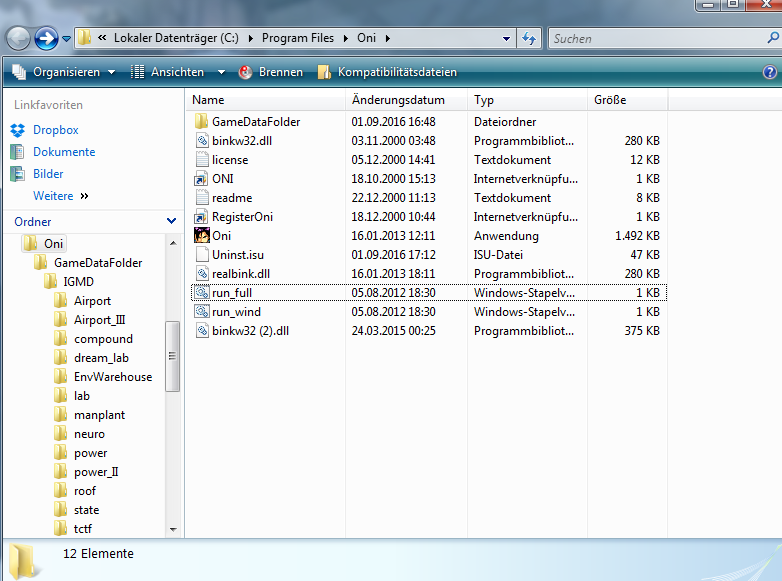 Right-click Oni link file > Properties (Eigenschaften) > Open file path (Dateipfad öffnen). There you will see the real files. Ok, I sound the real Program Files! Still crashing though. Thanks a lot! You made my evening happy! Also thanks to the nice mod and welcoming! Now I get to the controller issue and I'm fine! Have a nice evening! Okay. I hope xpadder will work for you. Have fun.